Did you know that while you're sleeping you twist your pelvis and lower back causing stress on your sciatic joint? Also, unsupported legs during sleep can cause discomfort in hips and your lower back. 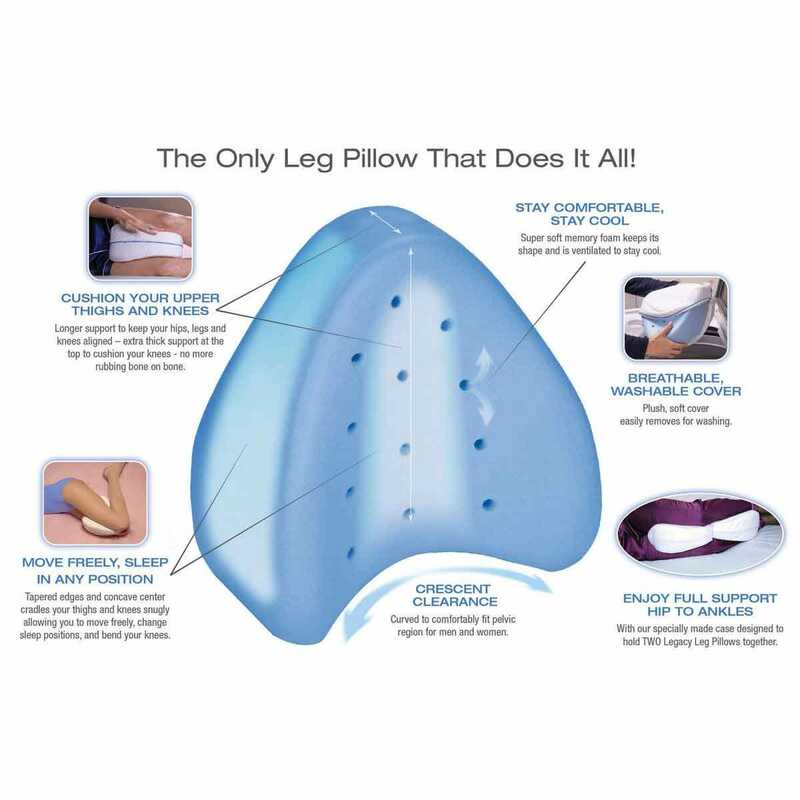 Alleviate pain your back, hips and knees for all night comfort with our Legacy Leg Pillow. 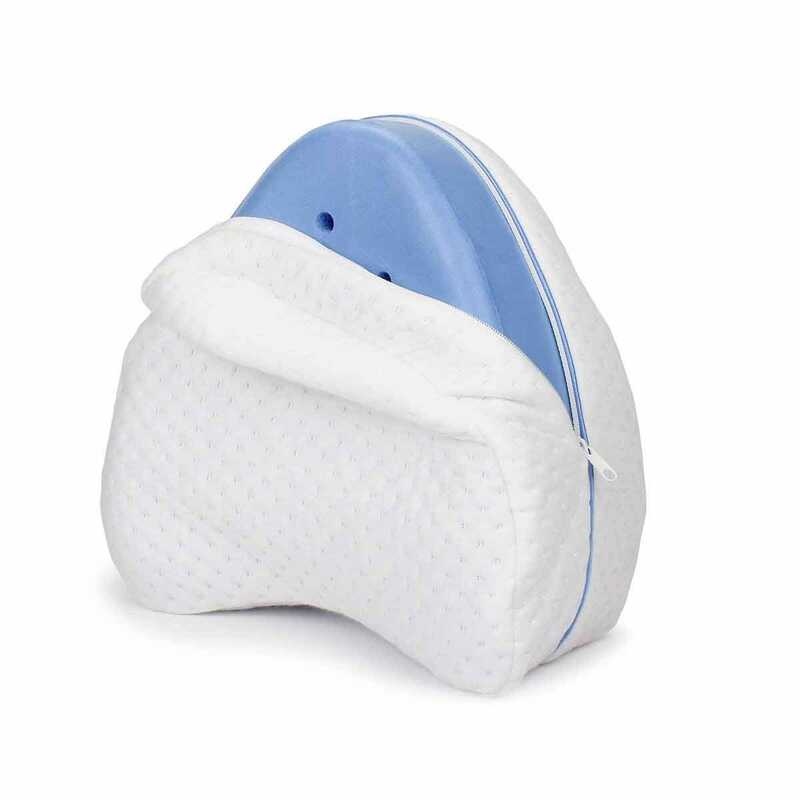 Helps provide perfect alignment of the back and hips by supporting and cushioning your legs and prevents rubbing bone to bone on your knees. 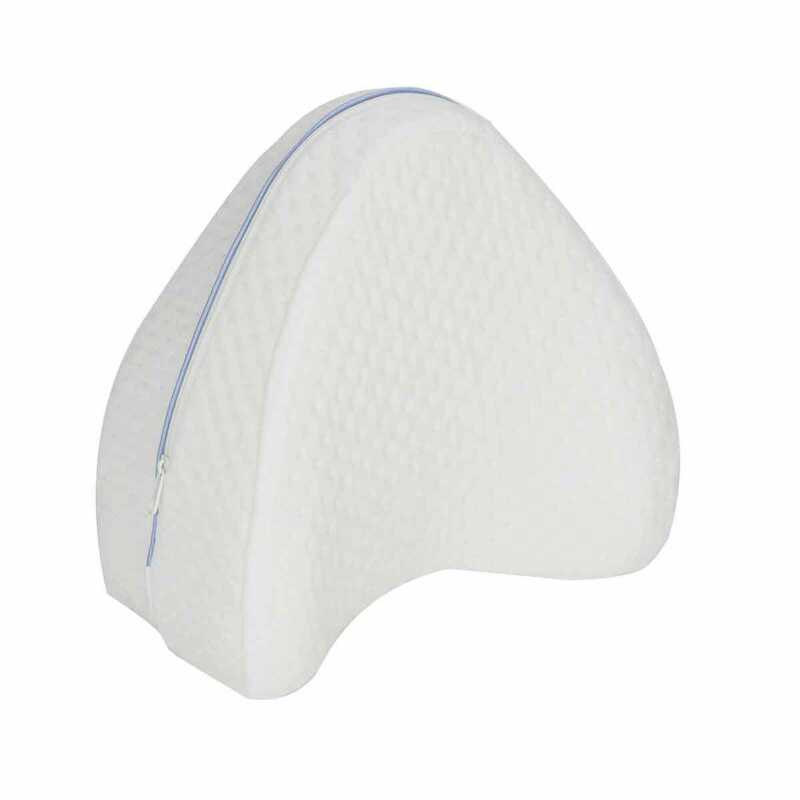 Pillow is curved to comfortably fit your pelvic region for men and women with tapered edges and concave center cradles your thighs and knees snugly allowing you to move freely, change sleep positions, and bend your knees. 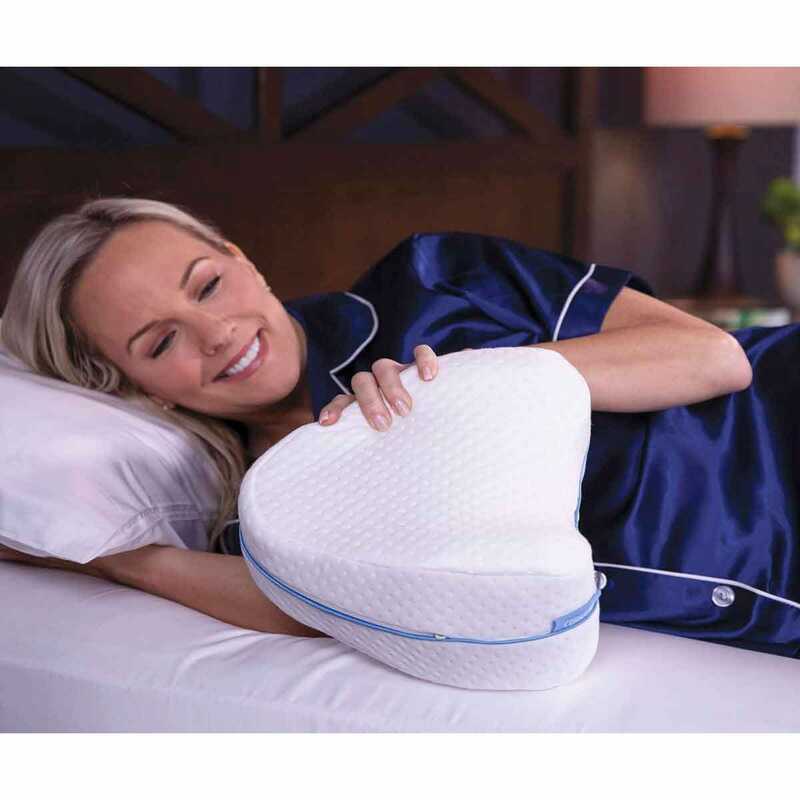 Features super soft memory foam that keeps it shape and is ventilated to stay cool with a breathable washable plush cover that easily unzips. 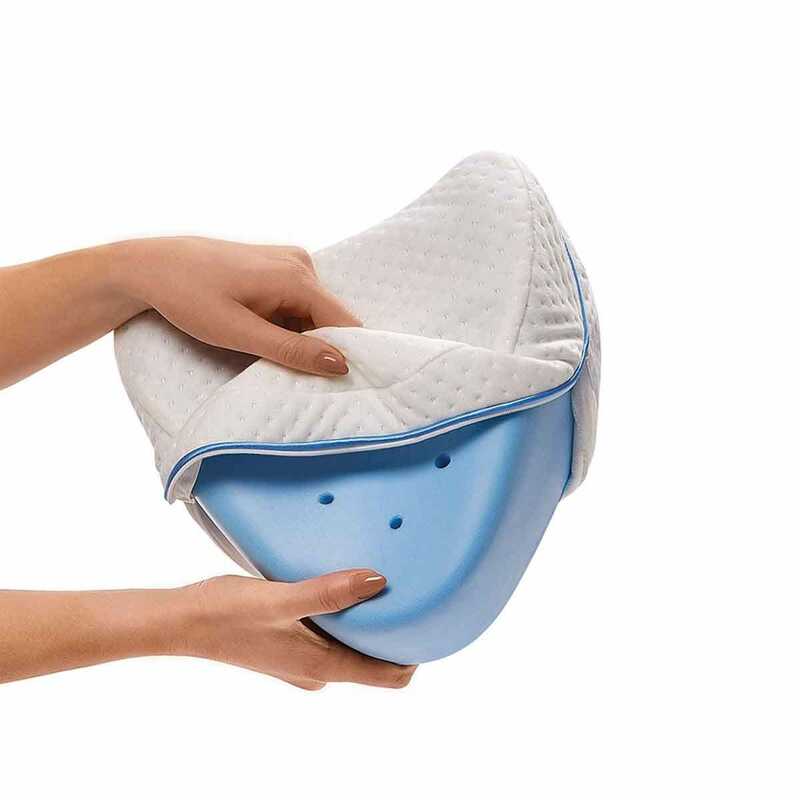 Pillow measures about 11”l x 9”w x 5 1/2” thick.